The Ambassadors', 1533. 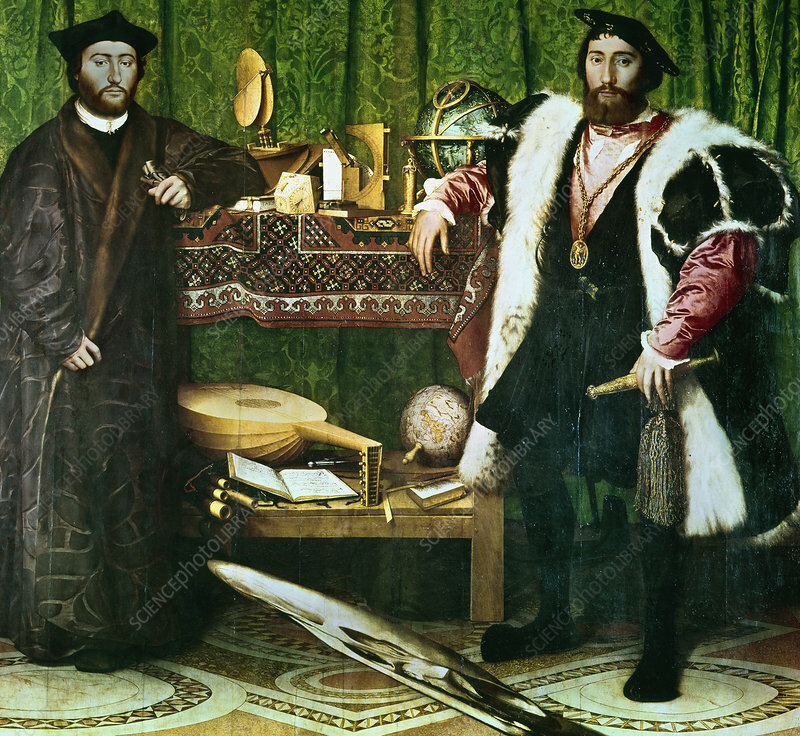 Double portrait by Hans Holbein (1497-1543) of Jean de Dinteville and Georges de Selve. In the foreground is a distorted skull, representing mortality. When seen from the right, the distortion is foreshortened, and the skull thus appears correctly. From the collection of the National Gallery, London. Artist: Hans Holbein the Younger.